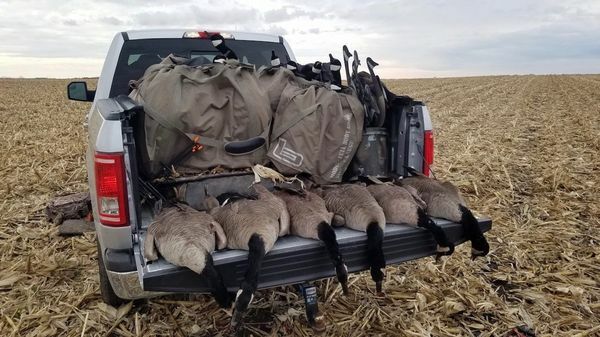 The first week of November is usually reserved only for being up in a tree stand, but given the high winds that were forecast for Sunday, we decided to keep the bows in the truck and take a shot at the geese we've been scouting from the tree stands since the beginning of October. Throw in the fact that mornings for deer have been pretty slow for us this year and Sunday had strong Southeast winds that usually blow the geese over our field more, it was a pretty easy call to make. However, making a last-minute call to abandon deer hunting and instead go for geese had its challenges. First, we get the decoy trailer hooked up to my buddy's truck about 3 AM and get 1/2 mile away from his place when the running lights on the trailer go out. My buddy comes prepared, so he had a spare fuse but it immediately pops as soon as we put it in. Back to my buddy's place we went, unhooked the trailer, and grabbed what we could throw in the bed of the truck. 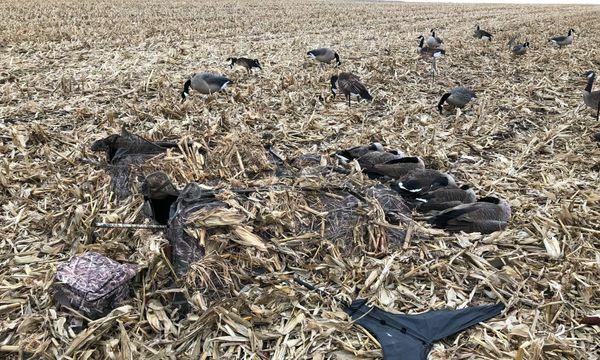 2 layout blinds, 2 dozen full-body motion decoys and a dozen and a half silhouettes was all we could fit and the remaining 3 dozen big foot decoys had to wait in the trailer for another day to hunt. 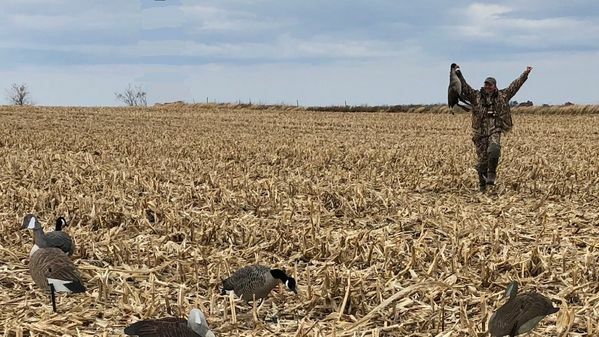 We get down to the farm still with plenty of time and come up with a game plan on where we'll setup, where we'll put the decoys and, ideally, where we'll want the birds to come in. Got the spread out and then, as usual, waited on the birds since they don't normally fly until well after sunrise. First group came from the south about 6:45 AM and did not even think about it. They were flying low to stay out of the wind, came up over the hill in front of us, turned on our spread and were feet down right in the pocket of our spread. I was on the left, Adam was on the right and could see the birds the whole time. I didn't see them until they already had their feet down and were coming in. What a great way to start a morning! Adam and I drop 2 birds with our first shots and then my gun jams and I can't get any other shots off but Adam dropped another. First birds of 2018 on the ground! Then it was dead until 8 AM when the sky was full of birds and it stayed that way for at least an hour. They were getting up and flying over fields but not really settling down, more so just stretching their wings. 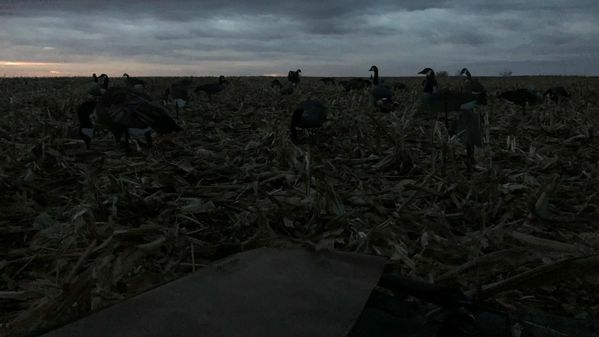 However, this meant that we were down in our blinds oddly contorting ourselves for what felt like forever with birds over the top of us but not really looking to come into our spread. The big flocks finally settled down and the bulk of them were landing in the neighbor's field across the street. Around 9:30, a group gets up and starts coming towards us. 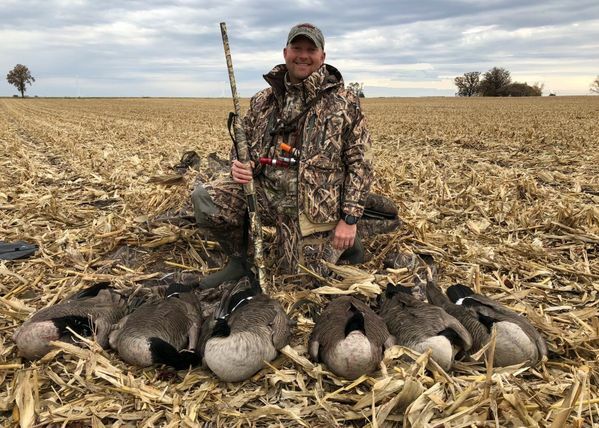 Again, my buddy Adam and I are so far down in our blinds and contorted so that we could see out the back of the blinds that I didn't see this group until some of them had already landed. 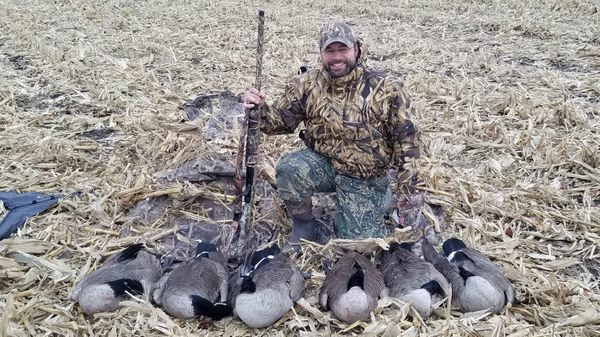 Adam was calling the shots and waited till the bulk of the group was right in front of us about to land in our decoys. We both come up, Adam drops his 3rd bird, and I dropped my 2nd before my gun jammed up again after taking the first shot. I got out of the blind and determined my problem was that I was stopping the action on my Remington 887 from ejecting the shells. Loaded up 3 shots, shot and ejected just fine. Hopefully I don't run into that problem any more. The last group came in while Adam is laying on his stomach looking out the back of his blind. I'm looking out the front of my blind and can't see the birds coming from behind us. Adam tells me they're coming and to get ready. 3 feet off the ground to my right I see them coming in and they land at the right edge of our decoys. I come up out of my blind as forcefully as possible to try and flush them in the air, but they don't move. I take a shot over the head of the one I wanted to shoot and he starts getting up. Pump, eject shell, load shell and shot number 2 puts him down. Never in my life have I ever shot a bird that continued it's trajectory upward after I shot it, then peaked and began falling back to the field. It was a sight I will not soon forget! 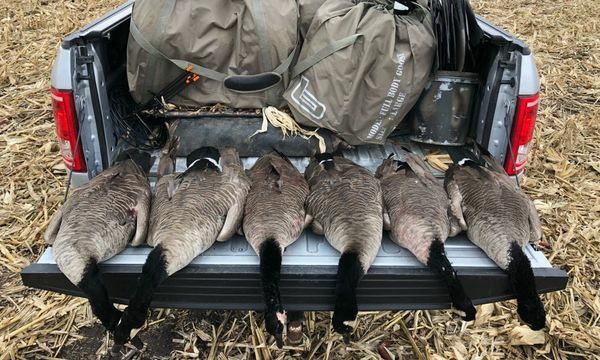 First multiple-man limit for me since 2009 when I was hunting with my dad and my brother! The keys to our success, from my standpoint, was the strong SE winds and the 2 confidence decoys we put about 60 yards downwind of our spread. 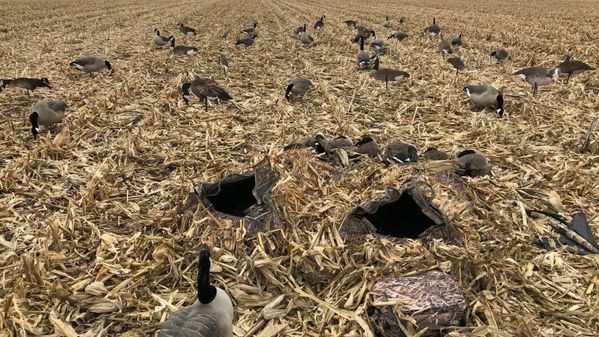 Every flock that came into us flew directly over these confidence decoys on their approach and were feet down by the time they cleared them. 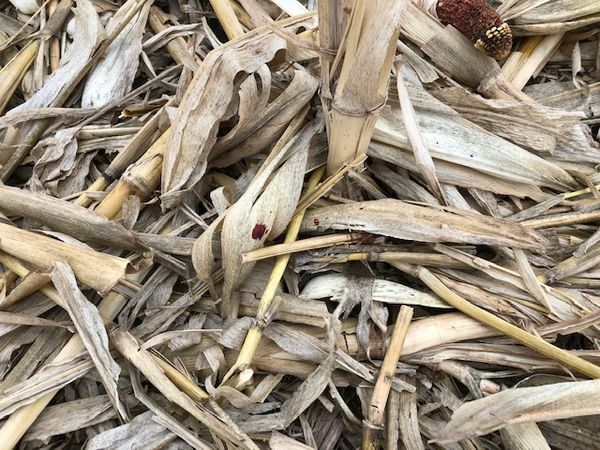 If you're not using confidence decoys, give them a shot - they work! Did I mention the truck was packed? Goose gear + Deer gear = full truck! Last edited by frisbee3557 on 04:17pm - Nov 5,18, edited 2 times in total. Way to adapt to the conditions Dave. Chitown-Angler was started on February 10, 2003 and has received 207586339 page views in total since that date.